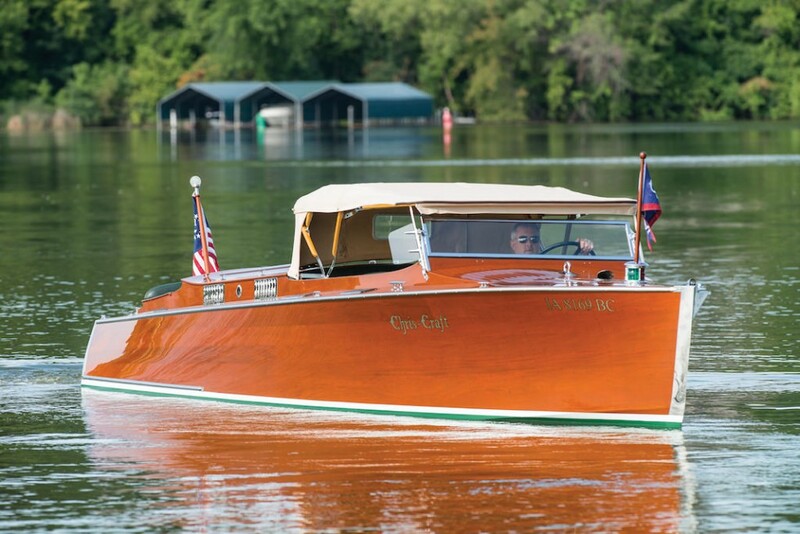 This stunningly beautiful Chris-Craft Model 111 was once owned by Charles S Pearce who was president of the merged Colgate and Palmolive Peet Corporations, and who was also an alumnus of the University of Wisconsin Alumni Research Foundation (WARF). WARF was responsible for the development of Warfarin, the most commonly used anti-coagulant drug in use in such countries as the USA, UK, Canada and Australia. 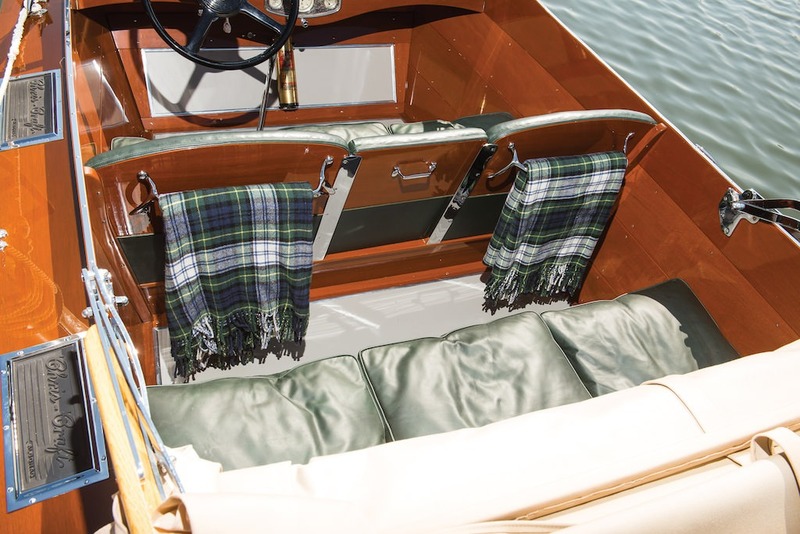 Charles Pearce had this boat delivered to Red Cedar Lake in northern Wisconsin where he used it for recreation. 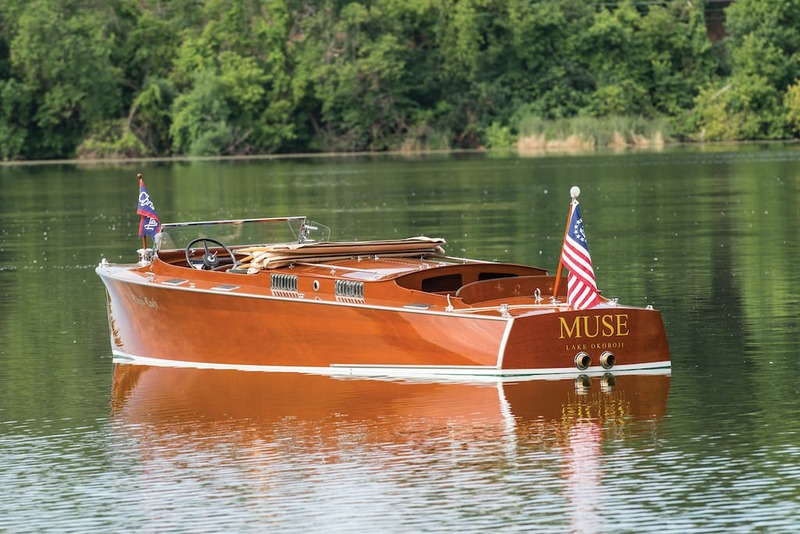 The boat carried the name “Muse” from the factory and has had that name ever since. 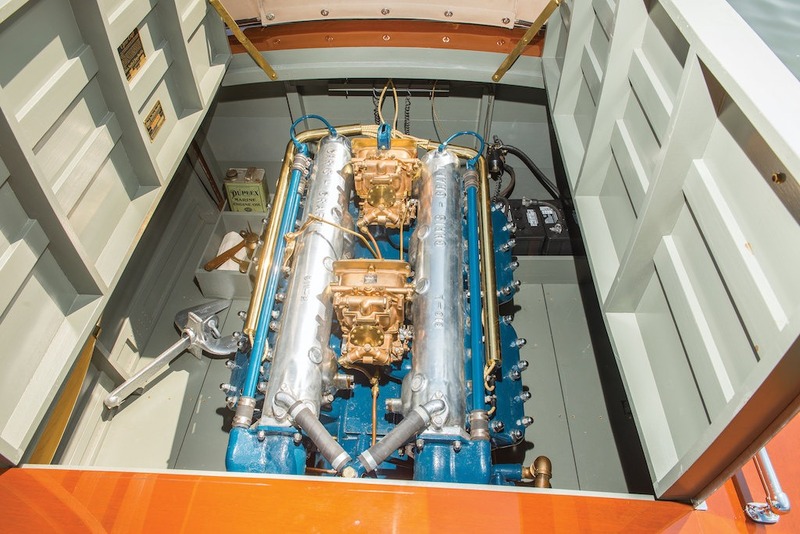 This Chris-Craft Model 111 is fitted with a correct type A-120 engine that has been completely restored right down to its twin carburetors. 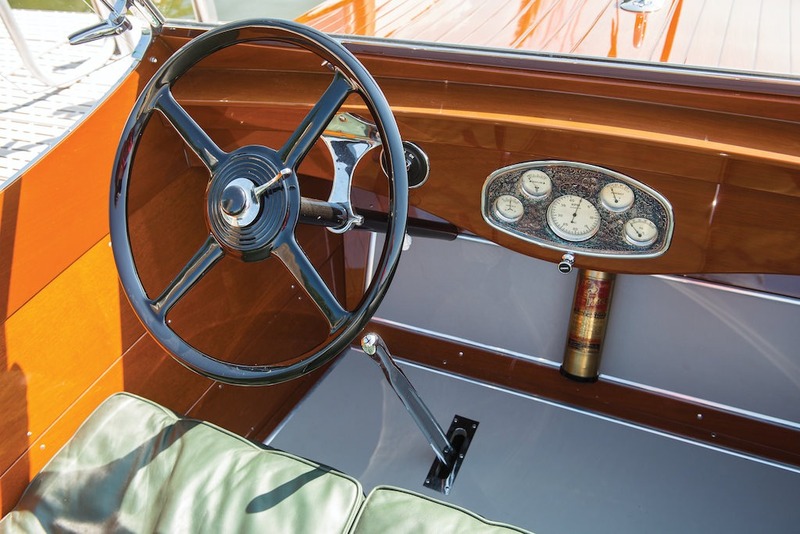 The boat has been faithfully restored and features a Dietrich convertible roadster top, “in case there’s a change in the weather”. 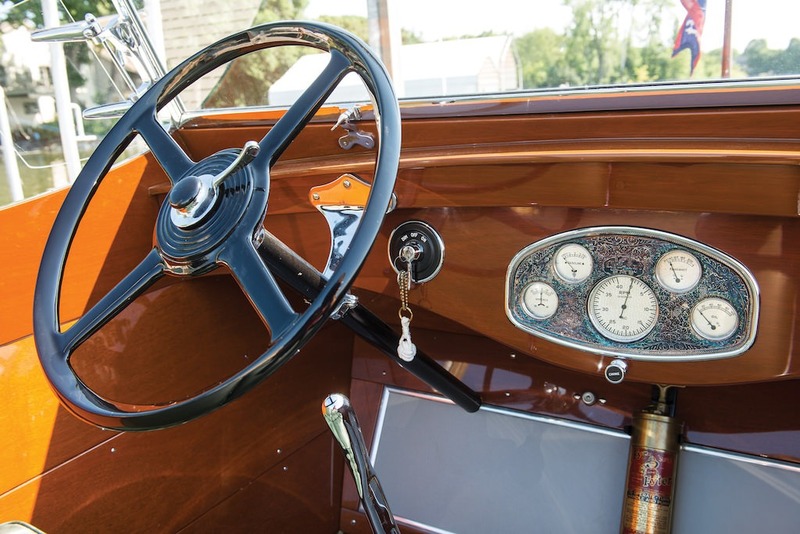 Muse has been featured at a number of shows and was awarded Best of Show at Keels and Wheels in Seabrook, Texas. 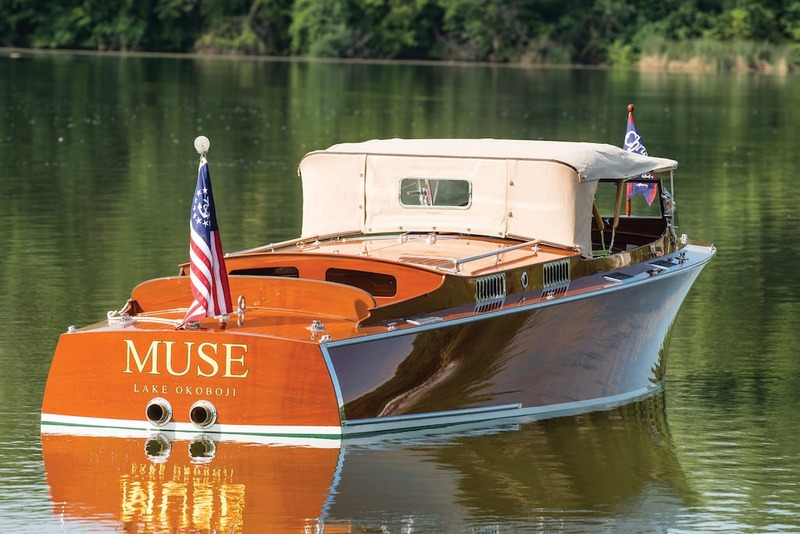 Muse is to be auctioned by RM Auctions on 9th October at the Hershey Auction.